[William] - Hi Vitaliy, thank you for reaching out and wanting to share your experiences with the community on managing a VMware and Apple OS X infrastructure. Can you tell us a little bit about yourself and what you currently do? [Vitaliy] - I am a Senior Systems Analyst for a Fortune 150 company that wishes to remain anonymous (aka I do not have legal clearance to use the company name). I am part of a team that is responsible for providing IT infrastructure for many creative and marketing applications -- think pre-press and advertising. 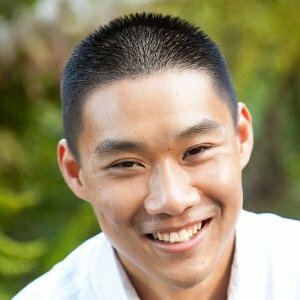 [William] - Can you provide us some details about the VMware and OS X infrastructure that you’re supporting? Software/Hardware specs that you decided to go with and the workload characteristics? [Vitaliy] - Prior to virtualization we were running two dozen Xserves with OS X 10.6 running a wide range of applications from Open Directory to custom in-house scripts. We have virtualized the whole environment with just 4 Mac Pro machines, each machine has 12 cores and 64GB of memory giving us a total of about 128GHz and 256GB of memory. We have exhausted all the PCI-X slots on the Mac Pro's by adding two dual port network cards and a dual port HBA. 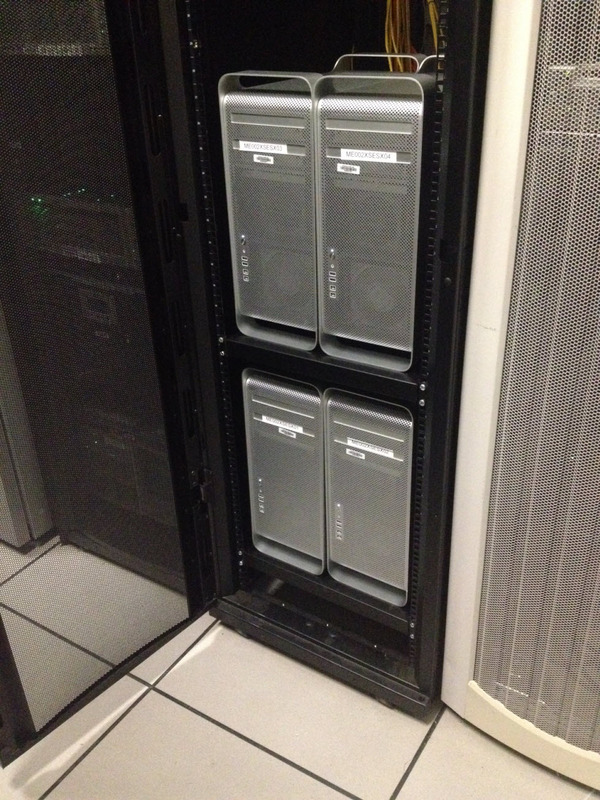 As a result we have two redundant management, data, and vMotion ports on each machine. Oh, one thing worth mentioning is that VMware officially only supports 32GB of memory per Mac Pro but we have been running 64GB with no issues. For the past year we have been running vSphere 5.1 and just upgraded to 5.5 last week. We have been using HP 3PAR SAN for our storage back-end and over the last couple of weeks we have migrated to an Oracle SAN. The whole process was completely seamless and transparent to the users thanks to VMware. [William] - Wow, that’s great to hear you’ve been able to really push the Mac Pro’s. You must have been happy to be able to consolidate all those Xserves! What was your approach for virtualizing OS X from the physical Xserve to Mac Pro? Did you rebuild or leverage some type of V2V? [Vitaliy] - We decided to rebuild from scratch. We were running an outdated version of OS X 10.6 and all the applications running on top of that were just as old. [William] - Can you talk to how you provision your OS X Virtual Machines and Applications and how it gets to the end users? Do users get their own systems or is this a shared infrastructure? [Vitaliy] - It's a shared infrastructure, generally a VM is dedicated to a particular application. We created a "base VM" that has basic settings like power/energy saver settings, local accounts, monitoring software, etc. preconfigured and whenever we need a new virtual machine we simply clone it and change the hostname and IP address on the new VM. Perhaps a template would've been a cleaner solution but this is what we do. We are currently looking into automating configuration with either Puppet or Casper. [William] - Thanks for the excellent tip on OS X screensaver, this is a handy one to know about! How do you go about monitoring the Mac Pro infrastructure? What’s the process for replacing failed hardware components and have you had any challenges with this? [Vitaliy] - We treat it the same way as the rest of our environment -- each vSphere node and virtual machine is monitored via Nagios. We have this cluster running for little over a year now and luckily we have not had to deal with any hardware failure. [William] - For your OS X Virtual Machines, do you have a need for backups or a DR strategy? If so, could you share some details on what you are currently using? [Vitaliy] - We have a replica of our production environment at a remote disaster recovery site and we use vSphere Replication to copy all the VMs nightly. We also heavily rely on the snapshot feature prior to making any operating system or application changes, it has been a lifesaver so far. [William] - Vitaliy, I want to say thank you very much for taking some time out of your super busy schedule to have a chat. Before I let you go, do you have any words of wisdom for others looking to manage a similar infrastructure? Anything you would do differently and any resources you have found useful in aiding you to support a VMware / OS X infrastructure? [Vitaliy] - Speak to your manager, legal department, or whoever is in charge about interpreting Apple EULA. I have heard of at least three different interpretations and all have legal implications. I am very happy with our environment and would not change a thing if I had to build it again. Your blog, virtuallyGhetto, has been a great resource as you are the only one talking about VMware products running on Apple hardware.